Thanks to those who voted for my painting “Sparkling Moments”, it made it in the iPrintfromHome.com final 8. It will be in their upcoming paper sampler and calibration package. Thanking you again. Have a great week. Good Tuesday morning friends, I am delighted to announce that my abstract painting “Sparkling Moments” is one of the 32 images being considered for inclusion in the iPrintfromHome.com paper sampler and Calibration Kit images. Each year this awesome printing company chooses 8 images for the samples. Won’t you help me take it to the next level? 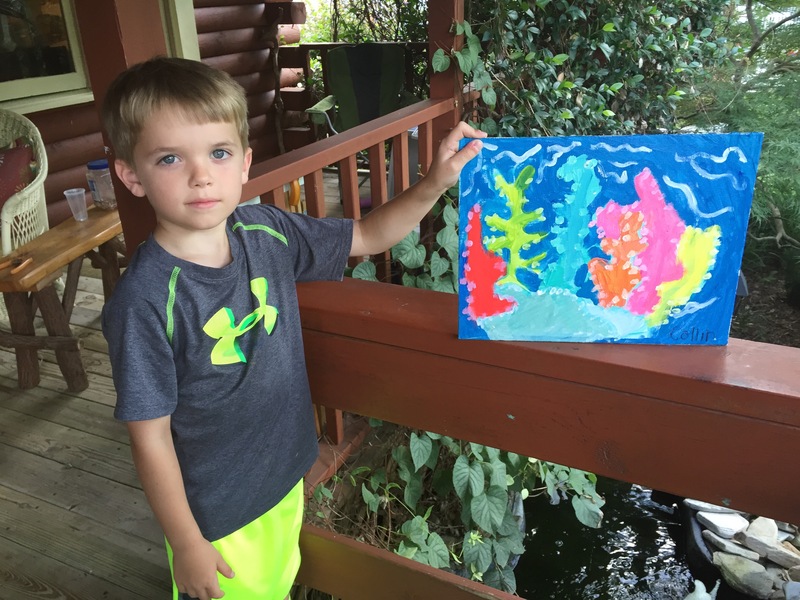 All you have to do is go to their website http://www.iprintfromhome.com/PSCK2015/ and find my painting, just shoot them an email with the info. My passion for painting continues as I get older, and one of my interests is abstract painting. “Sparkling Moments” is one of my firsts. 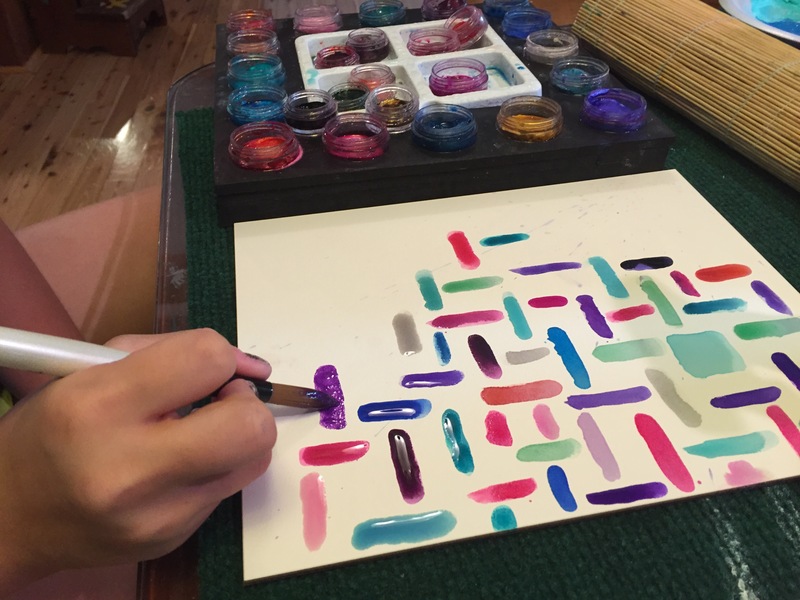 The effort involved in creating a successful abstract is even more challenging for me than painting a realistic portrait because usually with a portrait, I can use photos for good resource. That is not the case with abstract painting, I have no resource or visuals, abstract compositions and colors come from my soul and my feelings. Here is the link, in case you would like to vote. Thank you so very much. 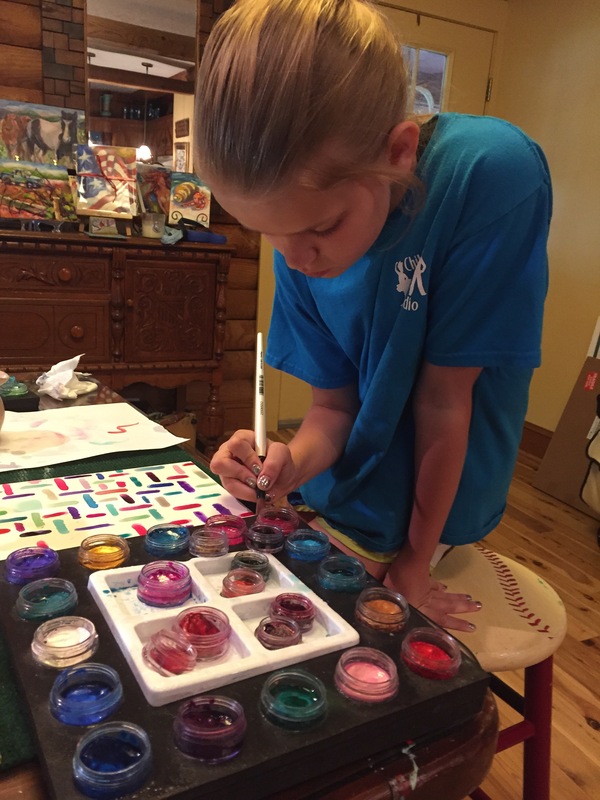 Art provides children valuable life living skills such as creativity, confidence, problem solving and perseverance, just to name a few. 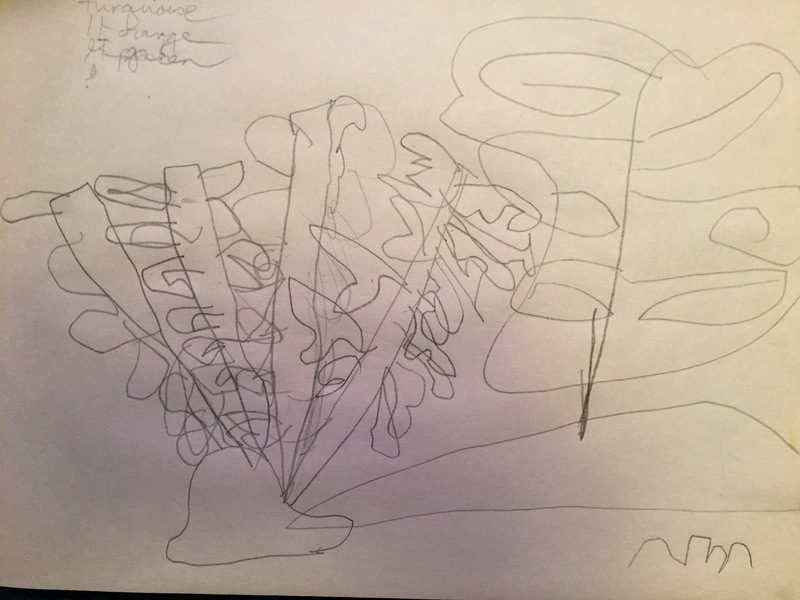 I wanted to give a shout out to a couple of my outstanding young artists and comment on their progress. 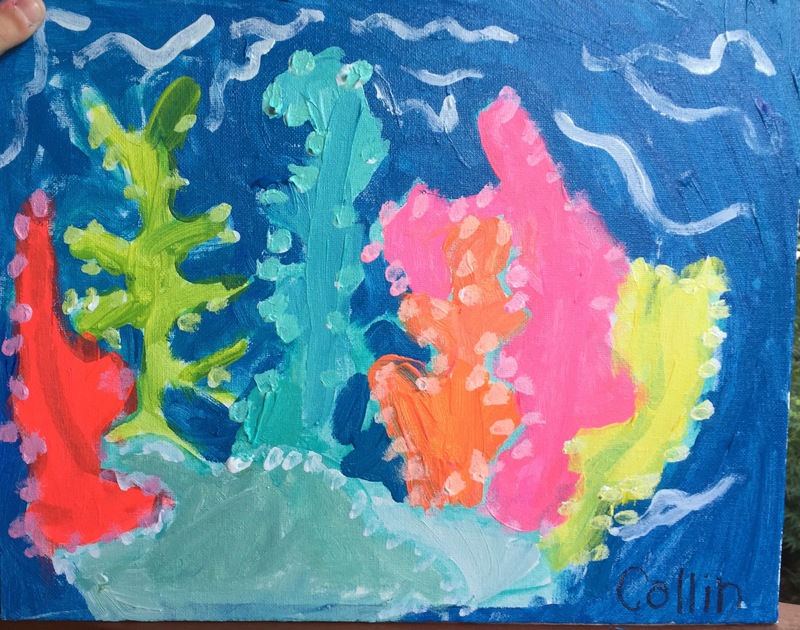 Collin’s rough sketch of a coral reef demonstrates planning and creating his vision through colorful paints. It’s always mesmerizing to me to watch the transformation from pencil to acrylic. 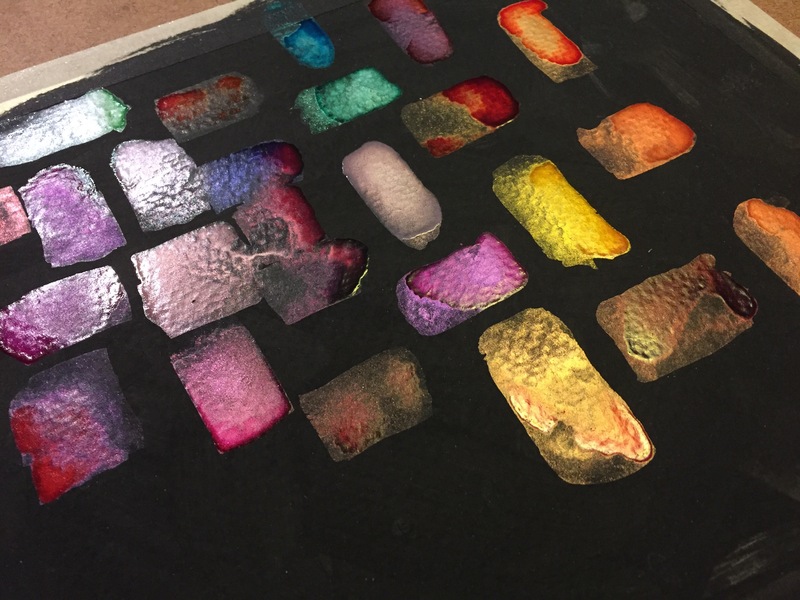 Hannah explores shimmery brilliant watercolor and plans a very orderly and structured design that concludes in a special design. 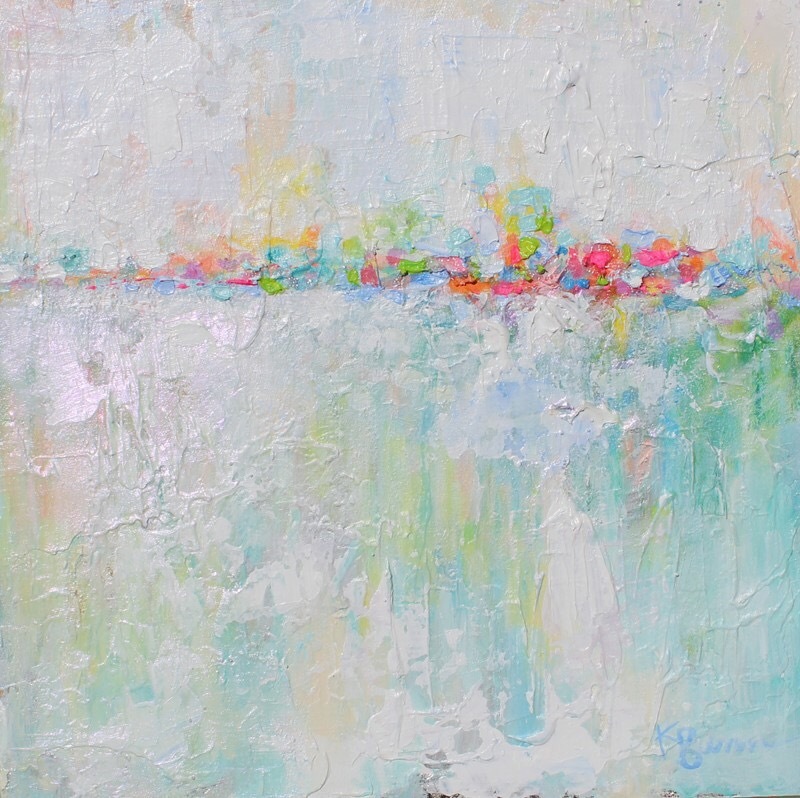 Her colorful abstract composition has a sense of order but is created with a spontaneous free will. I am thankful for all of my art students, I will be spotlighting more of my budding artists soon. What a blessing it is to share artful experiences and adventures with them.